Apple crammed a lot of announcements into its two-hour-plus WWDC keynote Monday. While there was nary a hint of hardware to speak of, there were oodles of software features announced all across Apple's family of operating systems with no platform left behind. MacOS, iOS, and watchOS all saw significant updates, and developers no doubt left the keynote feeling that Apple was back on top of its game following a year of uncharacteristic missteps. There are a lot of new features in iOS 12, but are they really new? But when the dust cleared and the excitement faded, there was one thing that was sorely missing from WWDC: innovation and originality. While iPhones, iPads, and Apple Watches will be loaded with new features come September, none of them will be very innovative. And nearly all of them have been done before. Now, fans will trot out the old argument that Apple doesn't do things first, it does things best. That may be true, but I didn't see anything announced at WWDC that made me think iOS 12 and macOS 14 will be anything more than a collection of long-overdue additions and fan-requested features. Don't get me wrong: I'm glad to have them. But there was a reason Apple's presenters kept asking, "Isn't that cool?" after a new feature was demoed. Because the wow factor just wasn't there. 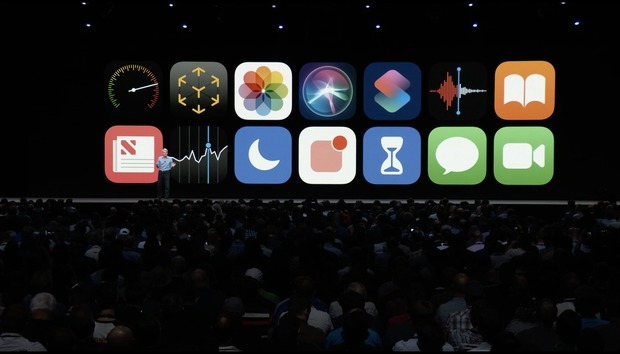 While there were a slew of announcements yesterday, only a handful of them stood out as being truly transformative: Siri Shortcuts, Memoji, Screen Time, Group FaceTime, and Measure. All of them are catch-up features. Apple's new Memoji are really just fancy Bitmoji. 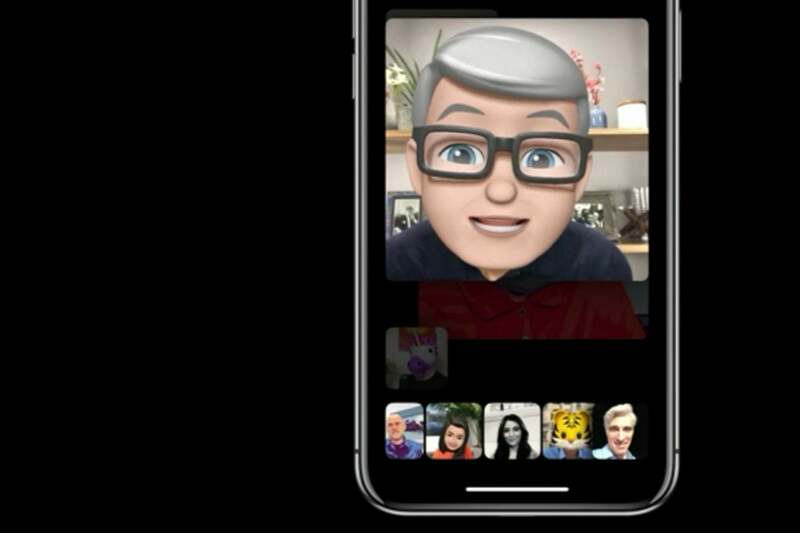 Memoji is an Apple version of Snapchat's Bitmoji and Samsung's AR Emoji. Screen Time is basically a mash-up of Google's Family Link and Android Dashboard. Measure is a copy of Google's own AR measuring app (incidentally, also called Measure). Skype and Hangouts have been doing group video calls for years. Siri Shortcuts is easily the most original of the group, and even that's basically a version of Alexa Skills and Google Actions mixed with a little Workflow and IFTTT. Again, that's not to say any of these are bad features or even unwelcome ones, and I'll be the first to admit that they're all sorely needed on Apple products. (OK, maybe not Memoji.) But even with the new stuff here, Apple hasn't added much more than a coat of pixels. Apple's design team has done a great job of making the new features look fresh and new, but when you strip away the prettiness, iOS 12 and macOS Mojave might be the most unoriginal OSes Apple has ever released. Heck, even watchOS 5's premier feature, Walkie-Talkie, was done on Nextel phones back before the iPhone even existed. Of course, little of this will matter to iOS users. Just like Android fans have Apple to thank for Nougat's notifications, Oreo's badges, and P's gesture-based navigation, the two biggest mobile platforms liberally borrow ideas from each other to fill out their annual updates. Once millions of people download iOS 12 to their iPhones in September, it won't matter which company did what first. All that will matter is how it works. 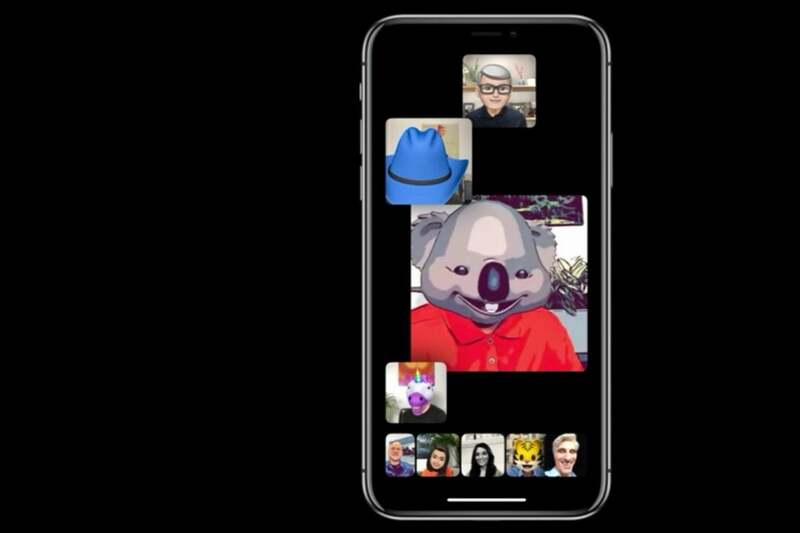 Group FaceTime calls look cool, but do we really need to call 32 people at once? When bundled notifications make our lock screens tidier and Memojis start showing up in our Message conversations, it'll all feel like Apple did it first. 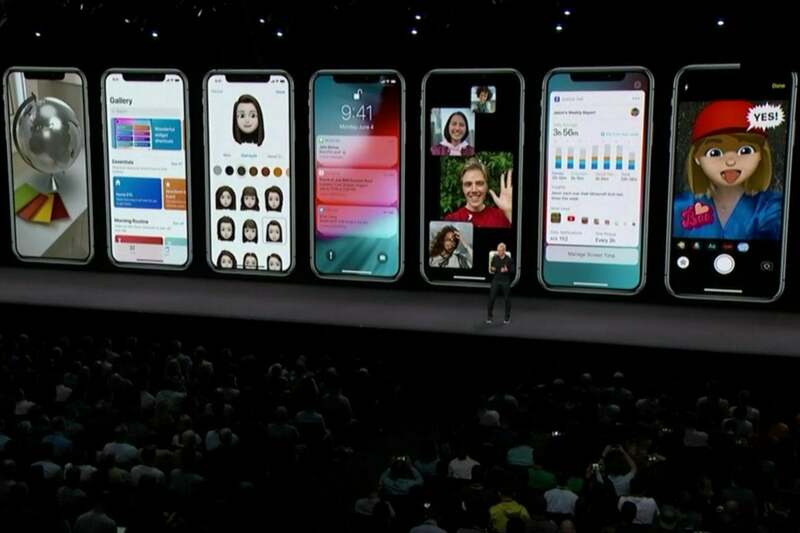 For millions of users, the features in iOS 12 will feel plenty new, and once we get our hands on Screen Time and Measure, Apple's ease of use and optimization will make them feel like they were born on the iPhone. Even just looking at the static pictures on Apple's website, bundled notifications and Memojis look better than they do on the Google Pixel 2, and really, that's all that matters. But I can't help but question whether Apple is giving us features we'll actually use, particularly in iOS 12. Screen Time in iOS 12 argubly looks nicer than Dashboard in Android P and it's surely an important feature, but will it be as useful as it is on an Android phone without user accounts? FaceTime might support more more people than Hangouts or Skype, but do we really need to talk to 32 people at once? And will we ever trust our iPhones to accurately measure things any better than a Pixel phone? Even as an iterative release, iOS 12 seems more reactionary than revolutionary, and I'm not sure whether Apple has done enough to make its marquee features essential to the core experience. While watching the keynote Monday I couldn't help but notice that the biggest applause came for grouped notifications, a long overdue feature that's been on Android since version 7. The cheers weren't for any specific functionality, just for the fact that Apple finally recognized that notification organization is a feature worth stealing from Android. 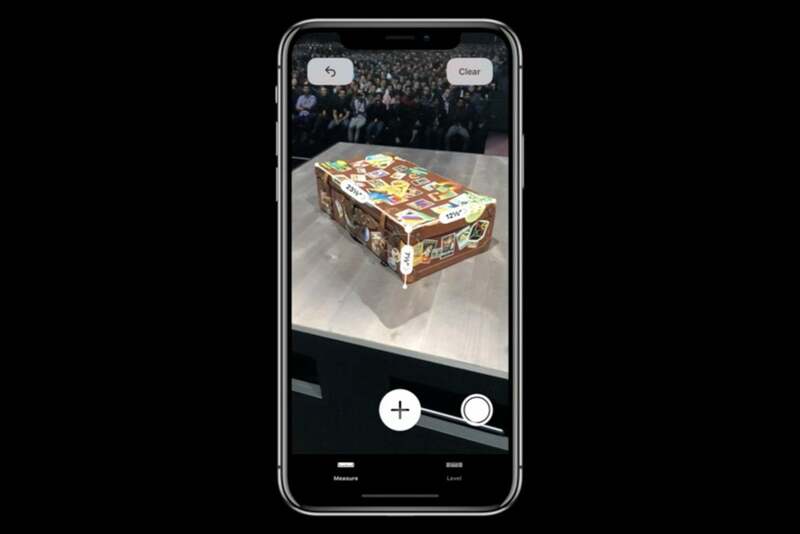 Measure is Apple's first AR app, but Google also has an AR measuring app named Measure. And maybe that's iOS 12's big innovation. Steve Jobs liked to say that good artists copy and great ones steal, yet he vowed to go "thermonuclear" when Samsung copied a little too closely. It's all a balancing act, and Apple surely did enough to make these features its own. WWDC didn't need a wow moment to make an impact, and the lack of originality might actually make iOS 12 and macOS 14 better in the long run. The first iOS 12 "feature" Appel talked about at WWDC was improved performance for older phones (particularly the iPhone 6), and that alone could be what makes iOS 12 a must-have. Apple checked off plenty of boxes at WWDC. It might not have had any fresh or innovative ideas to show off, but with a focus on stability, iOS 12 gives Apple a strong foundation for the future, especially if it's as fast as Apple says it is. We expected iOS 12 and macOS 14 to be maintenance releases, and in many ways they are, as the clean up the rough edges, right some the wrongs, and add some features that we've wanted for years. Even if Animoji tongues were the only original thing we got.